World Bank President Jim Yong Kim spoke last week during a panel discussion at the World Economic Forum in Davos, Switzerland. Harvard University’s presidential search committee recently contacted Jim Yong Kim, the president of the World Bank Group and a former president of Dartmouth College, about the school’s top position, according to an article that was published Sunday in the Crimson, Harvard’s student newspaper. The Crimson story cited anonymous sources “close to Kim” who told the paper that Kim was contacted in November by Harvard’s presidential search committee and was debating the pros and cons of the job. Harvard president Drew Faust announced last summer that she would step down in June. A 15-member search committee, made up of business and education leaders who oversee the university, is tasked with finding her replacement. 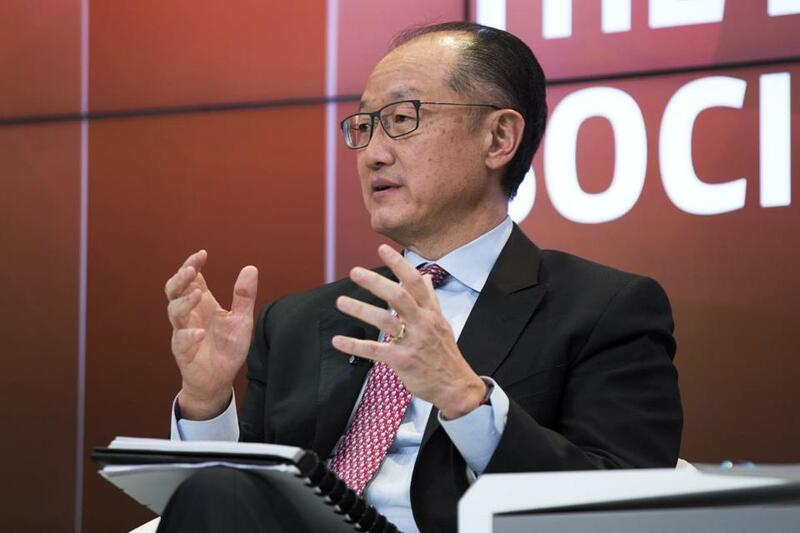 Kim became the 12th president of World Bank Group in July 2012, according to his biography on the organization’s website. He established two goals to guide its work: ending extreme poverty by 2030 and boosting shared prosperity. Kim has held professorships at Harvard Medical School and headed the World Health Organization’s HIV/AIDS program. He is widely credited with improving the treatment of drug-resistant tuberculosis in developing nations. He became the first Asian-American to lead an Ivy League university when he assumed Dartmouth’s presidency in 2009. He was praised for helping the school attain solid financial footing during the economic crisis and for leading a 31-campus collective to study binge drinking, but there was also some controversy. Kim also won a MacArthur Fellowship and in 2006 was named one of Time Magazine’s “100 Most Influential People in the World,” according to his biography. can be reached at dylan.mcguinness@globe.com. Follow him on Twitter @DylMcGuinness.